Save the Dates are the next step, then wedding invitations! Let PaperRozzi help you with the first step of your wedding invitations and stationery. There are many for you to choose from - great graphics, photos or keep it simple with just the date of your wedding! 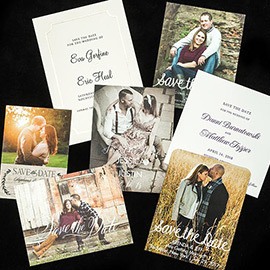 Call now to set a time to come see our albums for your save the dates and wedding invitations.